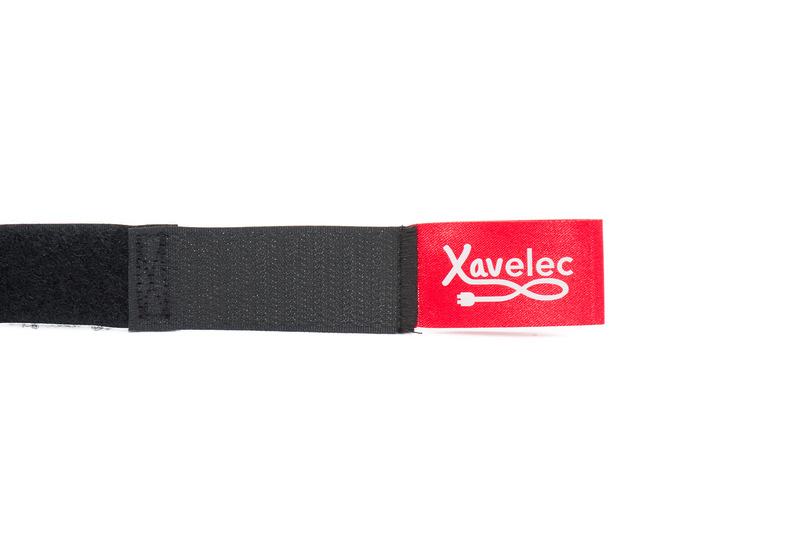 The Xavelec strap with red pull tab, in its 35cm length version. 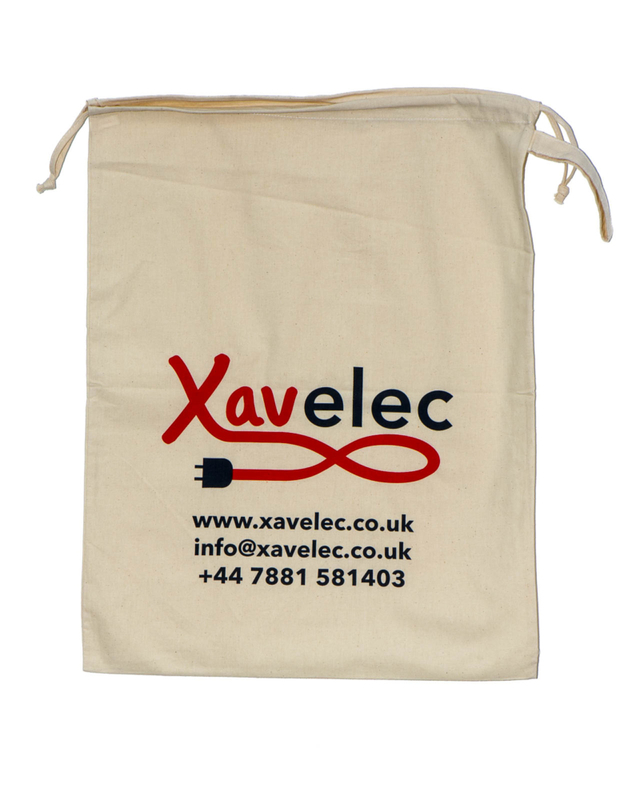 Good for our three-phase extension leads 15m length and above (depending on size of the loom). 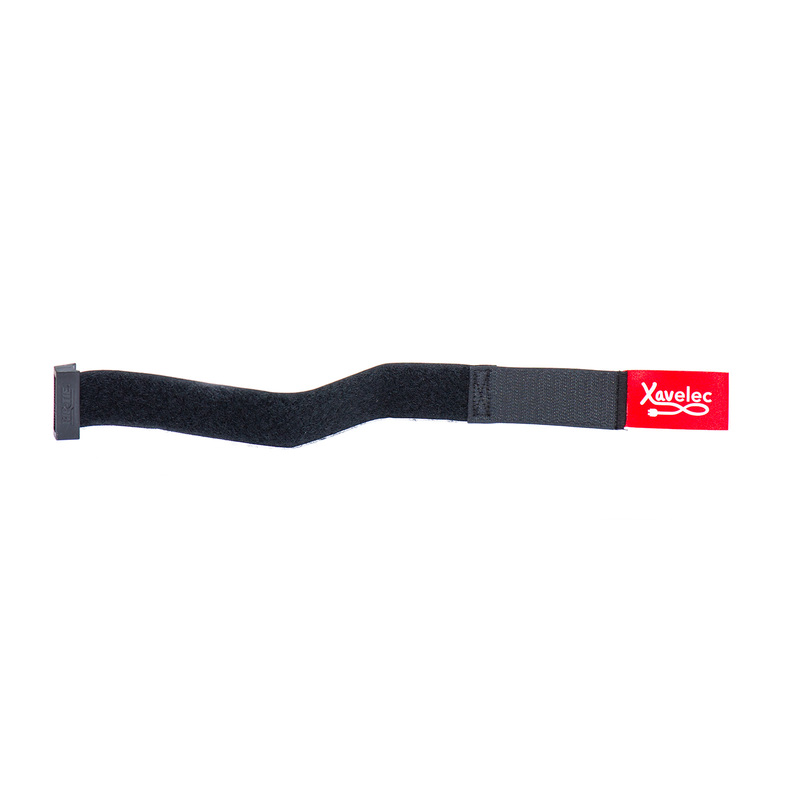 Tidy and tooless installation – simply loop around cable and pull tight. 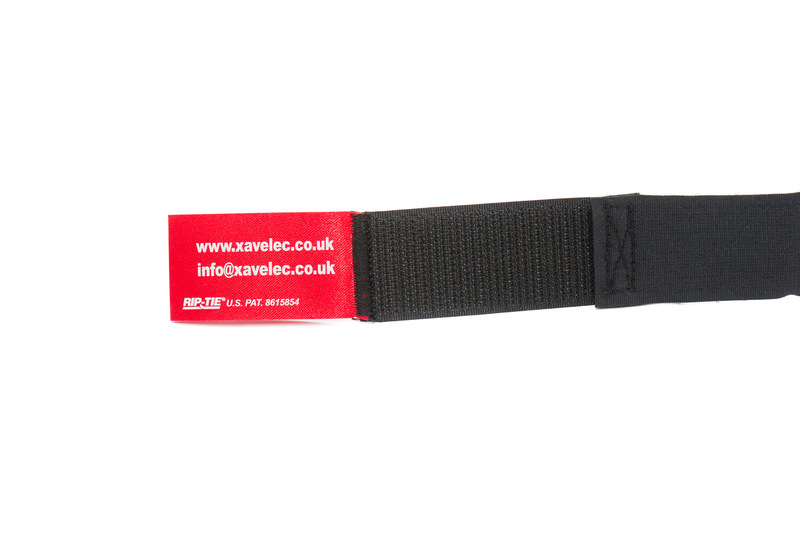 No cable ties or other items required. Removal requires the use of the Xavelec strap key, which is supplied with the strap.